SANTA ANA, CA -- Authorities say a teacher has been arrested on suspicion of helping three inmates - including an alleged killer - escape from a maximum-security jail in Southern California. They believe the men may be living in a stolen van. Orange County sheriff's Lt. Jeff Hallock says a woman who taught English as a second language to inmates may have supplied maps to the men before they cut and climbed their way out of Orange County Central Men's Jail last Friday. 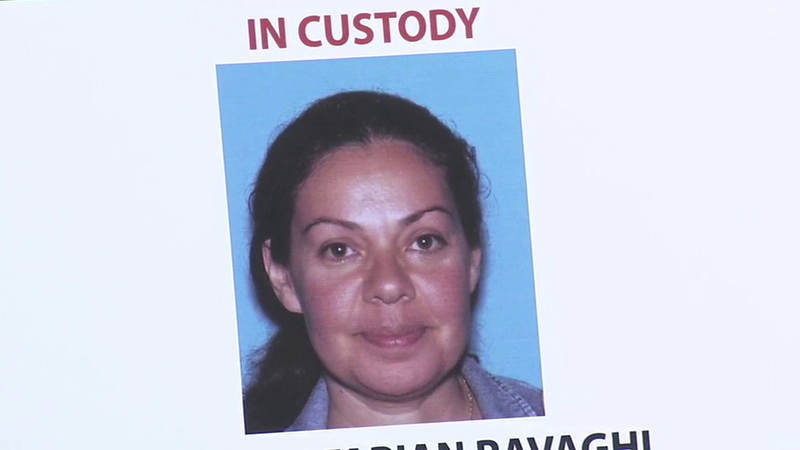 Nooshafarian Ravaghi, a 44-year-old Lake Forest woman, was arrested a short time ago Thursday. Authorities say she had some kind of relationship with one of the men. Hallock also says the men are believed to be still in California and that one apparently stole a white van on Sunday in South Los Angeles. Hallock says about 10 people have been arrested so far in connection with the breakout.